Franchising presents a great opportunity for the nearly 2.5 million United States armed forces personnel that are currently on active or reserve duty -- as it is, 1 in 7 franchises in the US are owned by veterans! 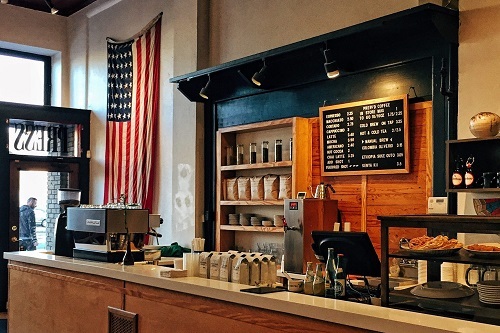 Franchisors believe that veterans make for great franchisees for several reasons. Many of the factors that made veterans excel within the military environment make them ideal for franchisees. The world of franchising represents a marriage between the self-start world of entrepreneurship and the rigorous discipline needed to follow a set of instructions and execute on a proven plan. The ideal franchisee is someone who can take direction and work within guidelines provided by the franchisor, but who can also effectively lead a team and get things done. The road to running successful franchise involves having a long term plan and hewing close to the plan, even when there are bumps along the way – neither the franchisee nor military personnel can let minor setbacks get in the way of a longer-term goal. In addition, veterans know how to rely on a support network, which is essential for franchise success. As veterans have learned to trust and rely on their fellow personnel, franchisees must lean on franchisors, fellow franchisees, employees, and others to ensure progress in their franchise. In addition to being suited to business leadership, military personnel are also often offered benefits or cost concessions as incentives to become franchisees. Many of these incentives are negotiated and run through the VetFran program (a great resource on franchising for veterans). Initially started during the Gulf War as the Veterans Transition Franchise Initiative, the program was relaunched after 9/11 as VetFran. Nearly 400 franchises participate in this program. Offering ten percent off the franchise fee for veterans is a fairly common practice for participating franchisors. According to a survey by VetFran, the most popular franchises owned by veterans are Matco Tools, the UPS Store, Sports Clips, and Dunkin' Donuts. Although VetFran receives no government funding, it is officially endorsed by the U.S. Department of Veterans Affairs’ Center for Veterans Enterprise. The SBA (Small Business Administration) also offers a number of resources for veterans on their site, including financing options, mentoring and training and plenty of educational materials. It’s also worth checking out their broader Office of Veterans Business Development for even more great resources. The SBA also provides a list of Veterans Business Outreach Centers, which are regional and can provide all sorts of useful training and counseling on small business and franchising for veterans. These combinations of financial incentives are a great way for veterans to enter the franchise industry, where the skills and training they’ve gained through their experience in the military makes them uniquely qualified to run successful franchises.